- To participate, please share this free event on your site and complete the form here. - If you would like to include more links (Twitter, Pinterest, Votes, etc.) 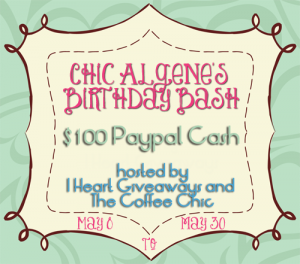 for this giveaway, then please send the fee to chicalgene@gmail.com via Paypal. Each additional link will cost $2.